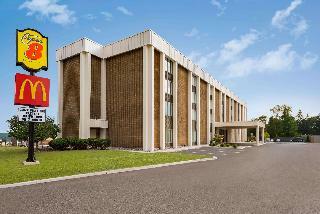 This welcoming hotel enjoys a central located and close to everything that Syracuse has to offer. The city centre is just 8 km away with plenty of shopping opportunities around 5 km away. This fully air-conditioned hotel comprises 8 floors with a total of 277 rooms. There is a foyer with a 24-hour reception desk, a lift and a safe. 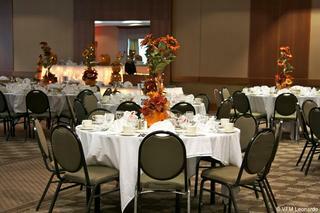 Guests will also find a bar and the Niagara dinging room as well as lounge in the city hotel. Here, guests will find a full menu for breakfast, lunch and dinner. It is also possible to make use of the room and laundry services (additional fees apply). A car park is also available for those arriving by car. Each of the well-equipped rooms comes with a bathroom, a hairdryer, a direct dial telephone, satellite/ cable TV, a radio and Internet access. In addition, a coffee/tea maker, carpeting, an iron and ironing board and a double bed also feature as standard. Furthermore, centrally controlled air conditioning and heating are provided. Leisure options include an indoor pool, a sauna and an in-house gym. Golf facilities are also offered around 5 km from the hotel.